Getting from A to B in style and with ease has never been so quick, easy and affordable. The Benelli Mio is ideal for those who enjoy cruising around the city in comfort without compromising style. Conceived for the urban streets, the Mio has a top speed of 32 Km/h with a range of 70 Km. The battery is conveniently located in the back rack of the bike and is easily removable with the unique set up keys that comes with the bike. Watching your favorite movie on freshly cut grass is an experience that will make you feel like a kid again. The Outdoor Big Screen offers 144 inch (12 ft) of movie night fun. Don't worry about sacrificing the high definitionthis screen is made of an Oxford nylon reflective material for highresolution imagery and enriched colors. Setup and takedown is simple and easy, taking only a few minutes. The durable, aluminum frame is freestanding and stable in a light summer breeze, but four tiedown guy lines are included for extra stability when you need it. This screen is perfect for business seminars, sporting events, weddings, movies, and much more. Enjoy dinner and a movie in your own backyard this summer. The Lifetime Freestyle Paddleboard provides great stability and tracking in both surf and flat water. The EVA deck covering provides increased traction, and the two adjustable fins give the paddleboard increased performance in diverse water conditions. Constructed of UV-protected high-density polyethylene (HDPE), the Freestyle Paddleboard is strong, durable and fade resistant. An adjustable stand-up paddle with a fibreglass shaft and a nylon blade is included. 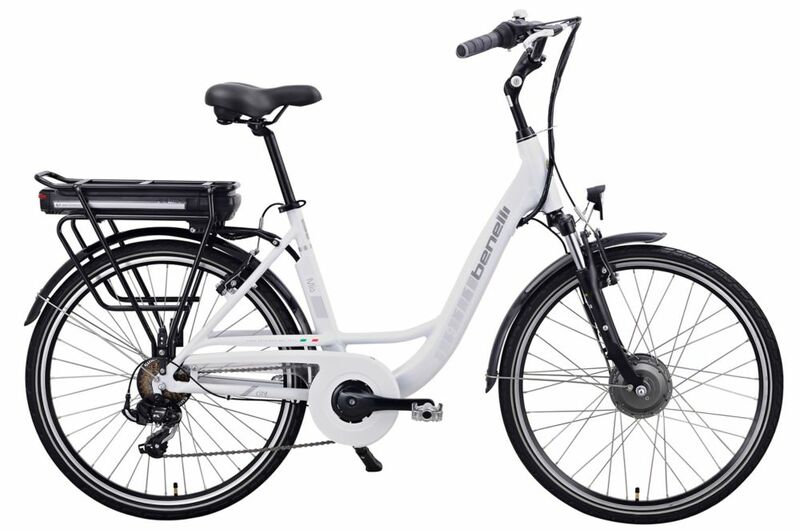 Mio 26-inch White Electric Bike Getting from A to B in style and with ease has never been so quick, easy and affordable. The Benelli Mio is ideal for those who enjoy cruising around the city in comfort without compromising style. Conceived for the urban streets, the Mio has a top speed of 32 Km/h with a range of 70 Km. The battery is conveniently located in the back rack of the bike and is easily removable with the unique set up keys that comes with the bike.